Size: Please select S size(S). M size(M). L size(L). XL size(XL). XXL size(XXL). 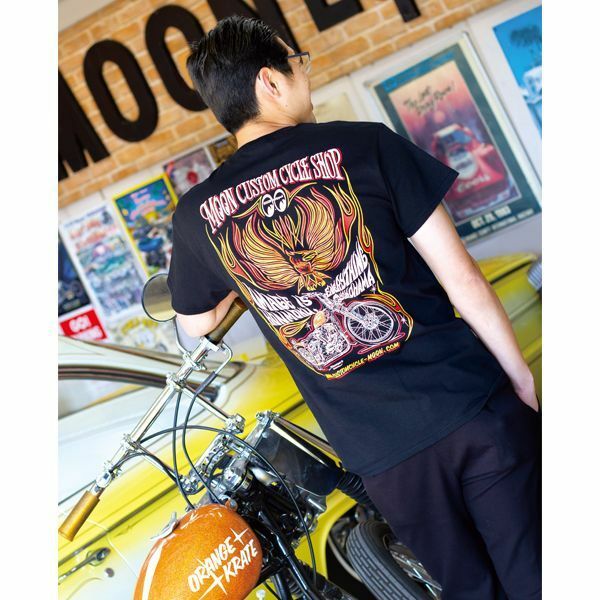 HOT T-shirt with Eagle like a flame and '65 H-D Panhead "ORANGE KRATE". 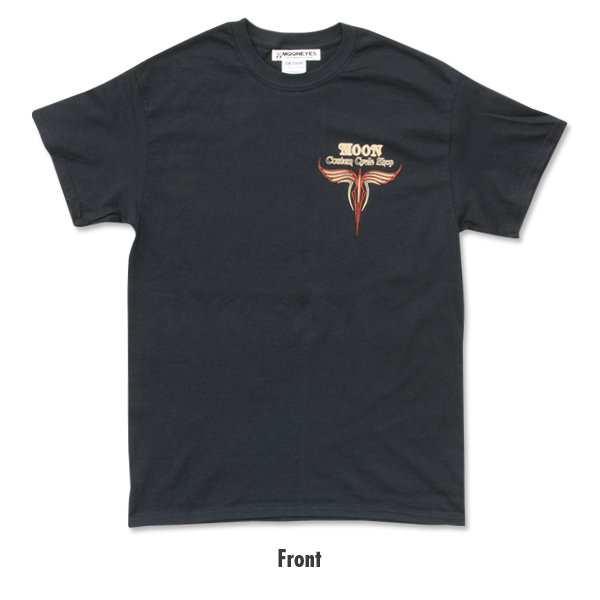 Wildman has designed the Eagle that symbolize the Harley Davidson. 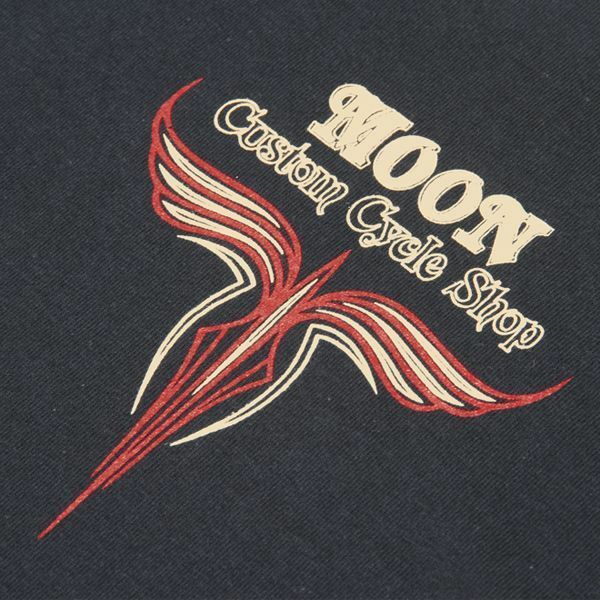 It is full of icon of MOON CUSTOM CYCLE SHOP. 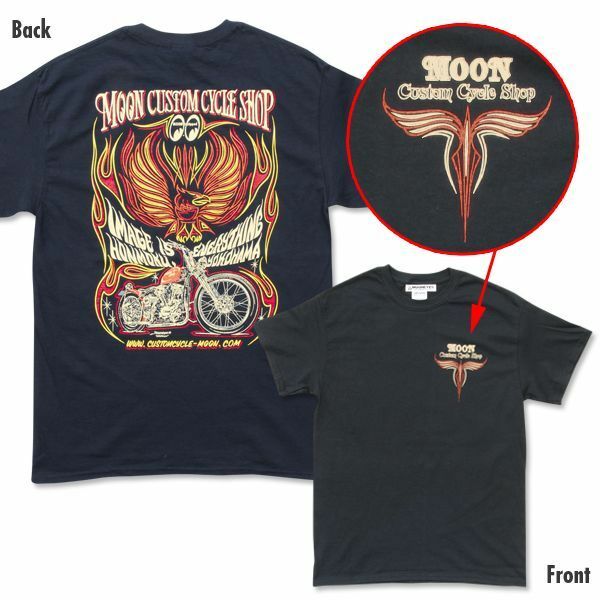 On the front chest MOON Custom Cycle Shop logo and pinstripe are printed. 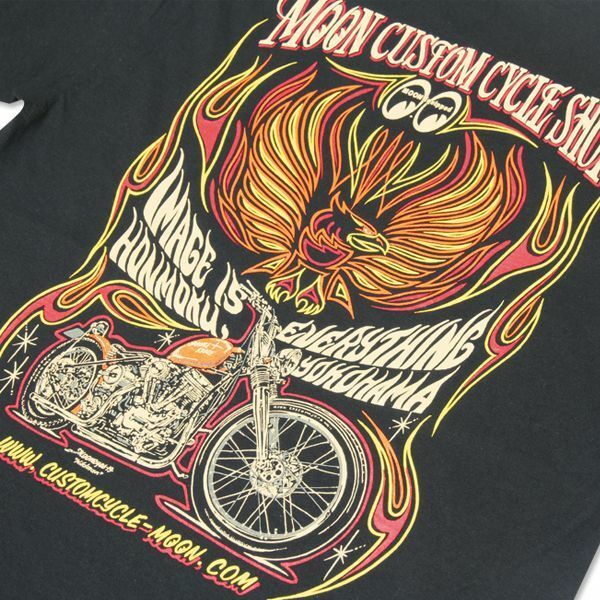 If you are a H-D rider, wear this and lwt's go fora touring!